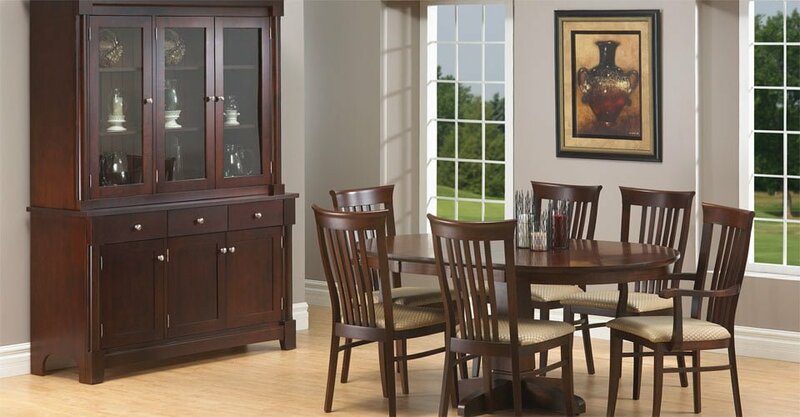 The Athena Dining Room Suite is reminiscent of the great places of ancient Greece. The posts on the cabinets are like the ones used in so many of the buildings and it gives you a feeling of awe. Built of solid maple wood and finished with a golden walnut stain and Lacquer it will retain its grandeur for years to come. 42w x 42L with 2" to 12" ext.